I don’t like following “eating rules”. For example, I don’t always have breakfast foods for breakfast. I only eat in the morning once I’m hungry and sometimes that’s not until lunchtime, and I eat a lot of my meals in one simple bowl. 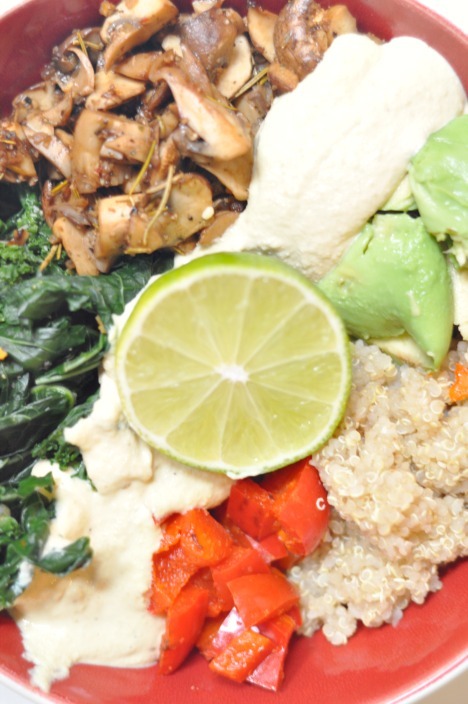 Enter: my favorite plant-based winter macro bowl recipe comin’ your way. A lot of plant-based eaters like to throw a bunch of nutrient dense, flavorsome ingredients into one dish and mix it all up. We don’t need a main dish, a side dish, and all that hodgepodge of stuff that needs to be prepared. I like to keep it simple and easy (as do many who eat plant-based), so I’m going to start sharing more buddha bowl and macro bowl recipes with you to make life that much easier. 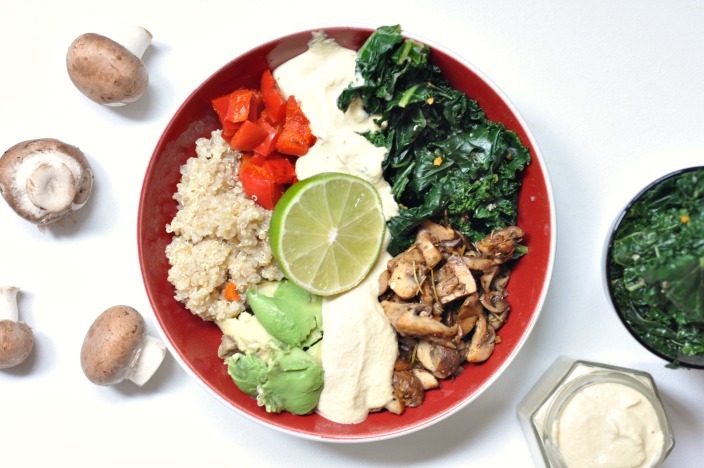 Creating buddha bowls and macro bowls focus on these principles: using nutrient dense veggies, complex & low glycemic carbohydrates, plant-based (or a clean/lean protein if you’re not plant-based) protein, and healthy fat. If I could, I would eat a macro bowl for breakfast lunch and dinner. 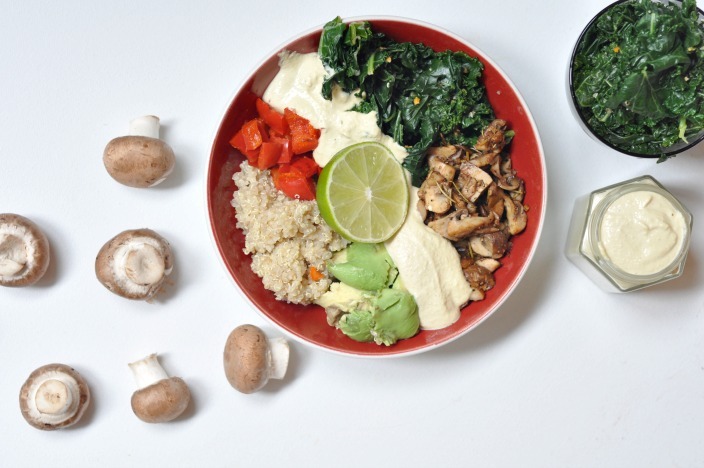 When focusing on including whole foods into your bowls, you’ll be creating a complete meal. Where does the term, “macro bowl” come from? From our need of macronutrients, obvi. In a nutshell: macronutrients are nutrients that our body requires in large amounts in order to carry out important functions and to give us energy to carry out our daily activities. These nutrients are clean proteins, healthy fats, and complex carbs. Everyone’s macro needs are different depending on their lifestyle activities, so I’m not going to go into how much of each nutrient we need a day (but that will be included in my upcoming 30 Day To Eating Plant-Based Course launching soon!). Carbohydrates: We need carbs in large quantities in order to provide our body with energy. These include quinoa, gluten-free grains like bulger, and brown rice for example. Now I’m not saying that you have to have carbs at every meal. Again, each of our biological makeup is different and we all function with different nutritional needs. So there is not one size fits all requirement of what we should and should not be eating. Clean proteins: We need protein in our diet (plant-based or non plant-based depending on your eating habits) in order to fuel ourselves with energy, to create “new” proteins in our body to support our immunity, repair and grow new tissues, and to support our hormones. When eating only plant-based proteins, it’s important to make sure that throughout the day you’re consuming ingredients that have all different essential amino acids. More on this will also be in the 30 Day Plant-Based Program too! But to get your started, plant-based sources of proteins include beans and legumes, nuts and seeds, quinoa, brocolli, and dark leafy greens. Healthy Fats: We need healthy fats in our system in order to better absorb fat soluble vitamins like vitamins A, D, E, K and antioxidants like carotenoids. Our bodies also can’t create our own Omega-3’s so we need that from food sources. Plant-based sources of healthy fats include avocados, nuts, coconut oil, olive oil, flax seed and chia seed. 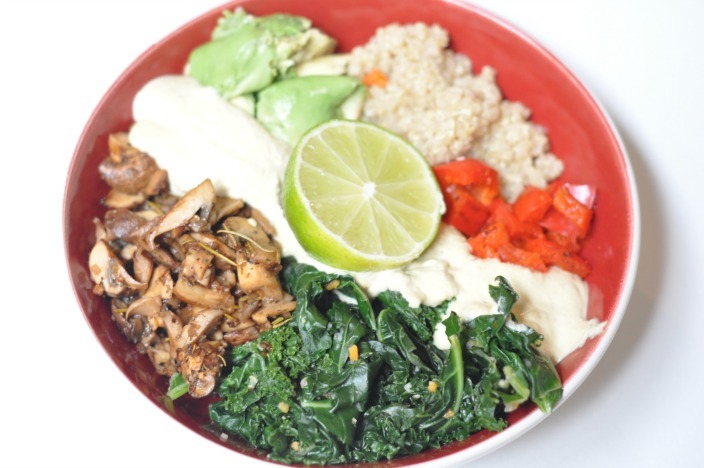 For this macro bowl- I used quinoa as my protein source & carbohydrate source, avocado as my healthy fat, and red peppers + mushrooms + kale as my choice of nutrient dense veggies. Mexican seasonings – chili lime seasoning, or any Mexican flavors you have in your cupboard. Blend your cashew cheese and set aside. In a separate pan, heat up 1 tbsp coconut oil, dice the red pepper, season with some all purpose seasoning, and sautee for about 3 minutes. Once cooked, set aside. In the same pan, heat up more coconut oil as needed and cook the diced mushrooms, add 1/2 of white wine, sprinkle the mushrooms with rosemary and all purpose seasoning. Cook for about 5 minutes until all of the white wine is evaporated, set aside. 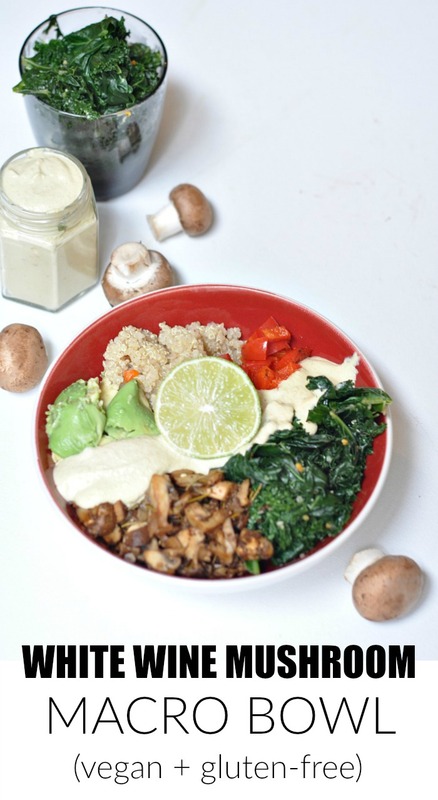 In one bowl – add 1/2 cup of quinoa, 1/2 cup of red peppers, 1/2 cup of mushrooms, 1/2 cup of kale, 1/2 of an avocado, 1/2 cup of cashew cheese. Squeeze juice from 1/2 lemon on top, and sprinkle more all purpose or Mexican seasoning on top. Enjoy! YUM! Bookmarking this recipe for later :-).